You are here: Home / PR Pulse / Does your PR strategy include TikTok? Does your PR strategy include TikTok? TikTok is the latest social networking site to take the world by storm with reportedly over 500 million users – a number that’s rising fast. Launched in China, the app is similar to Vine (RIP Vine) but with greater accessibility for more people to make high quality, creative videos. TikTok bought Musical.ly in 2017 giving it a foothold outside of China; around 40% of its user base is now based outside of its home country. It makes TikTok unique in the field of successful global social networks as it is the only major platform not based in Silicon Valley and therefore questions of regulation, internal reporting and IPOs will be very different in the lifespan of TikTok to what we’re used to. Those familiar with Vine will recognise much of TikTok – short clips (typically 15 seconds) are used to communicate, which means the platform forces creativity and the content is generally skewed towards younger users and teenagers, some of whom are already count followers in the tens of millions. TikTok has more filters and effects built in, so where Vine relied on highly skilled video makers for its best content, TikTok can make anyone seem like a video pro. If your brand or your clients are working with a younger audience then TikTok is a must for you to get on board with. Any means to communicate with your audience should be explored and experimented with to decide if it’s the right platform for you, but generally creative channels go hand-in-hand with creative PR. With TikTok, there’s different ways for brands to get involved. The platform has its own memes and a huge host of challenges from the Drake-inspired #InMyFeelingsChallenge to Jimmy Fallon’s #SharpieChallenge. Only by immersing yourself in the world of TikTok will it become clear which challenges and memes are opportunities for your brand – whether it’s joining existing ones or perhaps even starting your own (I’m sure Sharpie is very happy). Challenges, and videos in general, are typically people-led on the platform, so brands have the opportunity to show the people side of their businesses in a fun and youth-friendly way, or make use of celebrity connections via campaigns. Again – TikTok is not going to be suitable for every brand or business. With rising stars in the TikTok ecosystem, there’s also a huge opportunity for influencer marketing but be wary of going in too hard, the app is not a marketplace and collaborations (as with any influencer marketing) should feel authentic and fit in with the existing influencer’s output. 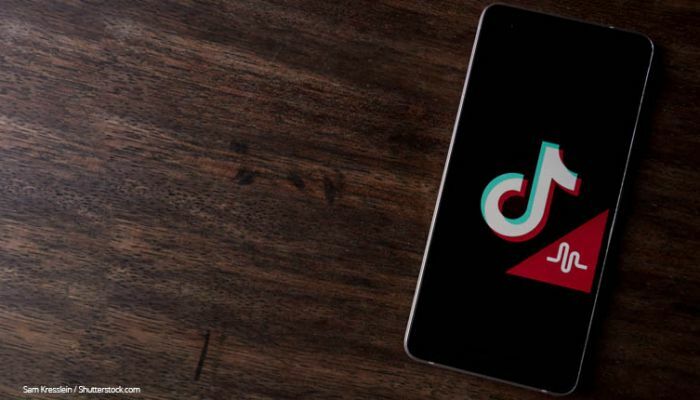 TikTok is also not a platform of desperate selling or poorly disguised advertising, and brands should fit in with the fun and generally upbeat vibes of the platform and not try to dominate the conversation. (If you were at your infant niece’s birthday party, you wouldn’t try to dominate the conversation among the kids – don’t do it here). For those that do want to advertise, this is being tested on the platform but note that it seems to be easily skippable. There’s also ethics to consider, as there is for any social network use or influencer marketing practice. Alongside the topics I’m sure you’ve heard discussed time and time again (disclosure, authenticity, payment) brands should also be cautious about the young user base on the platform and what it means if you’re trying to collaborate with big influencers that include young teenagers. With the ‘responding with a video’ viral style of content on the platform, there’s also a risk of quickly losing control of anything you do on the platform and this should be considered before any major campaigns are carried out. So, should TikTok be part of your PR strategy? Only you can answer that, but take 15 seconds and watch a video – then waste the rest of the day watching hundreds more. Great PRs know what channels and styles fit their brand, or client’s brand, and TikTok is so distinctive that you should know in an instant. https://www.vuelio.com/uk/wp-content/uploads/2019/02/Tiktok.jpg 430 760 Jake O'Neill https://www.vuelio.com/uk/wp-content/uploads/2015/10/vuelio-logo-transparent.png Jake O'Neill2019-02-11 11:01:322019-02-11 11:01:32Does your PR strategy include TikTok?